Rwanda Tour Highlights:- Gorilla Trekking, Pygmy culture tour, wildlife viewing, culture & rwanda history, nature tour, Traditional Cultural Entertainment. 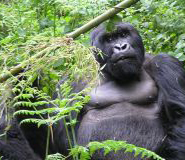 Experience Uganda’s culture amongst the wonderful wildlife experience of gorilla trekking. Uganda has a lot to offer in Wildlife, culture and Nature – “gifted by nature,” Uganda is termed the pearl of Africa. This safari is the most spectacular wildlife experience in one of the most fascinating rich biodiversity countries of East Africa. On this safari you will visit the most the most spectacular and productive wildlife sites in all of Uganda. This expedition-length safari leaves almost no stone unturned in the beautiful Uganda. Driving through the countryside brings you closer to witness the lifestyle of the Uganda rural communities, and the important role they play in conservation of the biodiversity. You will be met at the airport by one of our East African Safaris representatives and taken to your Hotel in Kampala/ Entebbe. Mgahinga Gorilla National Park the smallest in the country (about 33.7 km in size ) is situated in Kisoro in south western Uganda about 540 km from Kampala. Mgahinga Gorilla National Park is Uganda’s smallest and most scenic national park; Mgahinga is best known for its endangered mountain Gorillas, a habituated group that wanders back and forth across international borders.Travelers Rest Hotel(deluxe)/Mount Gahinga Lodge(luxury)/Amajambere Iwacu Community Camp(budget). 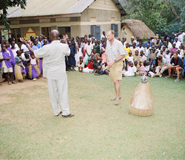 Lecture about the life of the local Pygmy – Batwa culture. The Pygmy-Batwa people are a traditionally hunter-gatherer group, who lived within the forests and survived on small mammals and plants. When Mgahinga National Park was gazetted in 1991, the Batwa were forced to leave the forest and were no longer able to enter the park to gather food. Overnight at Travelers Rest Hotel(deluxe)/Mount Gahinga Lodge(luxury)/Amajambere Iwacu Community Camp(budget). 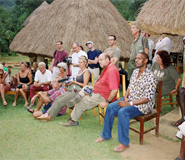 Take a community walk visiting another group of the Batwa – people who have co-lived with mountain gorillas and continue the visit to the caves and waterfalls stay at Wagtail Eco-safari Camp. Volunteer to construct the nursery bed for the tree planting project at the school, help cleaning the local Hospital, and volunteer in clearing garbage at the local market.Dinner and overnight at Travelers Rest Hotel(deluxe)/Mount Gahinga Lodge(luxury)/Amajambere Iwacu Community Camp(budget). Gorilla tracking in the Nkuringo part of Bwindi Impenetrable forest. 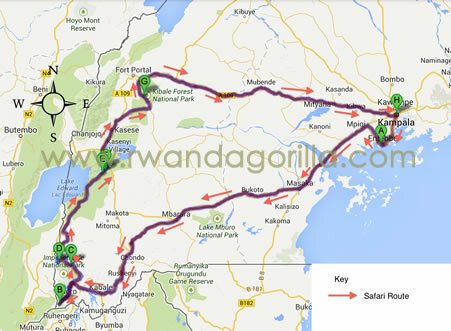 Gorilla tracking lasts a few to many hours depending on how fast we find the gorillas and their location on that day. Story telling around the fire place in the evening and comics.Dinner and overnight at Travelers Rest Hotel(deluxe)/Mount Gahinga Lodge(luxury)/Amajambere Iwacu Community Camp(budget). Overnight at Buhoma Community Campground. The Buhoma Community Campground is located in the Bwindi Impenetrable National Park in Buhoma, home to the endangered mountain gorillas.Dinner and overnight at Bakiga Lodge (mid-range), Gorilla Mist Camp/Gorilla Safari Lodge/Chameleon Hill Lodge(luxury). Visit the traditional healer, the local brewing site, the Batwa homestead and end our day by enjoying entertainment from the locals as they sing praise to the conservation of the mountain gorillas.Stay at Bakiga Lodge (mid-range), Gorilla Mist Camp/Gorilla Safari Lodge/Chameleon Hill Lodge(luxury). Traditional meal preparation and competitions.Learn to prepare traditional meals and the techniques of cooking. Teach locals modern ways to prepare meals in your country. Award Certificates to competition winners on the second day of the event and end the activity.Stay at Bakiga Lodge (mid-range), Gorilla Mist Camp/Gorilla Safari Lodge/Chameleon Hill Lodge(luxury). This journey is long; Whole day driving. If we arrive early; take lecture on the old traditions of the inhabitants as we visit the museum at the camp. Game drive in the Park and Boat ride at Kazinga Channel. 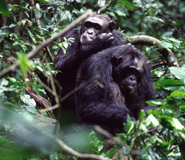 Spend the afternoon at leisure as you prepare for Chimpanzee tracking the next morning. Dinner and overnight at Crater Safari Lodge(luxury),Primates lodge(mid-range), Chimpanzee Forest Camp(budget). Track Chimpanzees in the morning. In the afternoon go for a nature walk at Bigodi Community Wetland.Overnight at Crater Safari Lodge(luxury),Primates lodge(mid-range), Chimpanzee Forest Camp(budget). In the afternoon; visit the Uganda Crafts Village, Nakasero Green Market and the Uganda Museum later in the evening.Overnight at Malakai Eco lodge (miid-range), Nexus Resort( budget)La Petit Village (luxury)DAY 3: Cultural tour. Transfer to Entebbe international Airport for your departure flight.